Blood pressure recommendations have been swinging back and forth for a number of decades. 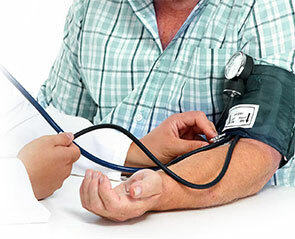 The American College of Physicians (ACP) and the American Academy of Family Physicians (AAFP) jointly developed this guideline to present the evidence and provide clinical recommendations based on the benefits and harms of higher versus lower blood pressure targets for the treatment of hypertension in adults age 60 years or older. The target audience for this guideline includes all clinicians, and the target patient population includes all adults age 60 years or older with hypertension. Going back in history, at first we said, don’t lower the blood pressure because you will decrease perfusion to vital organs and cause strokes, etc. Then it was “the lower the better” and that we should be aiming for presyncopal blood pressures. Then the ACCORD study came and 120 mm Hg was not clearly better than 135 mm Hg, so we said maybe “lower is not always better.” But then the SPRINT study came along and a BP of 120 mm Hg was better for CV events and death. Hence, the confusion and debate continues. Since most diabetes patients do not die from diabetes but from cardiovascular disease causing strokes and heart attacks, we need to pay special attention in patients with diabetes. This paper evaluated 21 studies of intensive blood pressure treatment. With treating BP to less than 150/90 mm Hg, nine trials had high-strength evidence that that there was a reduction in mortality, cardiac events, and stroke. For BP ≤140/85 mm Hg, there were six studies that showed benefit with reductions in cardiac events and stroke, but a non-significant reduction in deaths. What is the takeaway message from the two large studies, ACCORD and SPRINT? It could be that we should treat our patients gently and to avoid hypotension. Targeting below 150/90 mm Hg is clearly beneficial. Targeting below 140/85 mm Hg has benefits, but the law of diminishing returns kicks in at the lower end. The good news is that it is safe. The studies did not emphasize the concept of measuring blood pressure outside the office to see if it is spiking out in the real world. This will help identify the white coat and masked hypertensive patients and may also tell us if medications are reducing blood pressures for the full 24 hours. These are all important issues that could affect the outcomes of our hypertensive patients. 1. ACP and AAFP recommend that clinicians initiate treatment in adults age 60 years or older with systolic blood pressure persistently at or above 150 mm Hg to achieve a target systolic blood pressure of less than 150 mm Hg to reduce the risk for mortality, stroke, and cardiac events. (Grade: strong recommendation, high-quality evidence). ACP and AAFP recommend that clinicians select the treatment goals for adults age 60 years or older based on a periodic discussion of the benefits and harms of specific blood pressure targets with the patient. 2. ACP and AAFP recommend that clinicians consider initiating or intensifying pharmacologic treatment in adults age 60 years or older with a history of stroke or transient ischemic attack to achieve a target systolic blood pressure of less than 140 mm Hg to reduce the risk for recurrent stroke. (Grade: weak recommendation, moderate-quality evidence). ACP and AAFP recommend that clinicians select the treatment goals for adults age 60 years or older based on a periodic discussion of the benefits and harms of specific blood pressure targets with the patient. 3. 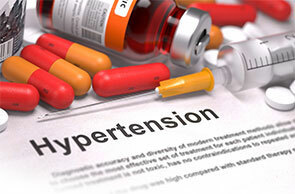 ACP and AAFP recommend that clinicians consider initiating or intensifying pharmacologic treatment in some adults age 60 years or older at high cardiovascular risk, based on individualized assessment, to achieve a target systolic blood pressure of less than 140 mm Hg to reduce the risk for stroke or cardiac events. (Grade: weak recommendation, low-quality evidence). ACP and AAFP recommend that clinicians select the treatment goals for adults aged 60 years or older based on a periodic discussion of the benefits and harms of specific blood pressure targets with the patient. This guideline is based on a systematc review of published randomized, controlled trials for primary outcomes and observational studies for harms only. Treat adults age 60 years or older with systolic blood pressure persistently at or above 150 mm Hg to achieve a target systolic blood pressure of less than 150 mm Hg to reduce the risk for mortality, stroke, and cardiac events. Consider initiating or intensifying pharmacologic treatment in adults aged 60 years or older with a history of stroke or transient ischemic attack to achieve a target systolic blood pressure of less than 140 mm Hg to reduce the risk for recurrent stroke. Consider initiating or intensifying pharmacologic treatment in some adults age 60 years or older at high cardiovascular risk, based on individualized assessment, to achieve a target systolic blood pressure of less than 140 mm Hg to reduce the risk for stroke or cardiac events. Copyright © Clinidiabet, S.L.  Except where otherwise noted.